A 40 year-old bronze sculpture by the artist Barbara Hepworth has been stolen from a south London park in what is believed to be the latest target of scrap metal thieves [BBC]. "Two Forms (Divided Circle)" is considered one of Britain's most recognisable works and may be irreplaceable. Authorities believe the 2 metre high sculpture, one of only six casts made by the late artist, was targeted because of the value of its metal. Yet they will likely get a fraction of the value of the sculpture itself which was insured for more than £500,000. It is not the first time priceless sculptures have been stolen by metal thieves. Prices make sculptures such as Henry Moore's "Reclining Figure" desirable as a source of scrap metal. The well known figure was stolen in 2005 by thieves who used a crane and a stolen truck to remove the sculpture from the Henry Moore Foundation grounds in Much Hadham, Hertfordshire. The sculpture was worth around £3 million, but police believe that the internationally known sculpture was cut up and melted down for around £1,500 in scrap metal, discounting their original theory that the figure was stolen for its value on the art market. Less prestigious, but nonetheless reputed artists, have also had their sculptures stolen. In 200 Lynn Chadwick's The Watchers was stolen, Elisabeth Frink's bronze horse was stolen in 2009 and 3 sculptures by Robert Mileham were stolen. The sheer size of some of the stolen sculptures has spawned a new breed of metal thieves with the knowledge and the means of shifting large and heavy objects. The growing demand for copper by countries like China, seeking a cheaper source of this raw material, fueled by the booming electronics industries, has created an unprecedented market for recycled copper. And the thieves do not seem to care who they target. As well as stripping Britain's parks of priceless sculptures, churches, railways and even hospitals have been targeted. 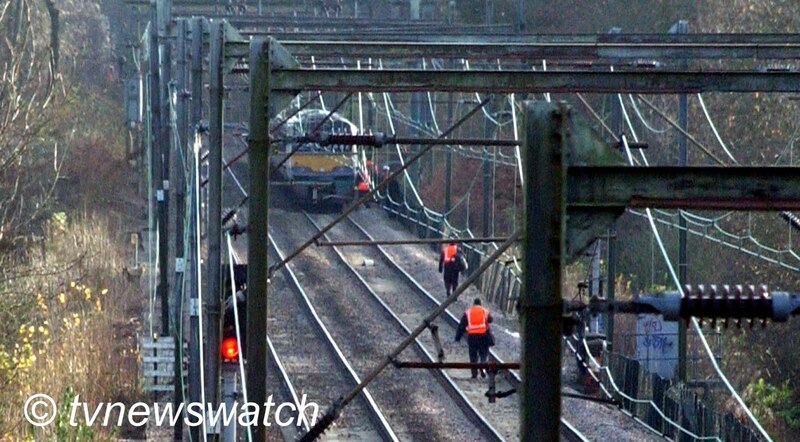 In the last few months tonnes of copper wires have been stolen from railways, leaving trains without power and stranding thousands of commuters [BBC / Express / Ev Standard]. It is not only confined to Britain either. 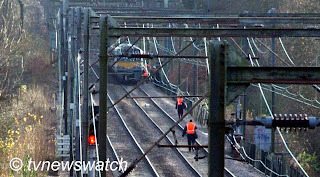 French thieves struck the Eurostar line in April delaying hundreds of passengers [Daily Mail]. Hospitals have also been struck putting lives at risk. Earlier this month a hospital in south Wales was forced to cancel more than a hundred operations after metal thieves stole generator cables [Daily Mail]. The rise in thefts and the effect on people's lives has prompted calls by MPs for new legislation and harsher penalties for those convicted. Labour MP for Streatham Chuka Umunna has spoken out about the problem of metal theft which he says is blighting the lives and livelihoods of many people in his London constituency. The rising levels of metal theft have seen Church roofs stolen and even instances of war memorials being vandalized so that plaques could be sold for scrap. And Umunna wants to transform legislation concerning scrap metal dealers by replacing the current requirement to register with a Local Authority and replace it with a licensing system [Chuka.org]. Shadow Home Office Minister David Hanson MP has also called for action and welcomed the launch of Graham Jones' Private Members' Bill to tackle metal theft, which was put before the House of Commons last month. While the bill will likely get backing from all sides of the house, the scrap metal industry have not been so welcoming. The British Metals Recycling Association (BMRA) director general Ian Hetherington has called for regulatory changes that are "proportionate and workable" rather than "ill-conceived legislation" at the organisation's Annual Dinner held last week. Speaking to a sold-out crowd of almost 500 metals recyclers, he pledged that the BMRA would "go onto the front foot" regarding future legislation in 2012.